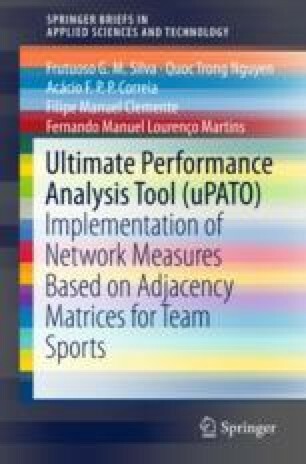 This chapter introduces the concept of network analysis and presents a series of software tools developed with the objective of analyzing networks. This analysis is usually performed on a set of metrics calculated on the network or on a representation of the network. Most of the existing tools are not free or are limited to unweighted networks, ignoring, in the case of weighted networks, the weight of the edges that connect the nodes. For example, in team sports, we have weighted networks, where edges represent the interactions between team players and their weight its frequency.